The plastic packaging used for many of today’s products provides an attractive way to display the item, protect the content during shipping, and thwarts the casual shoplifters from opening and making off with the goods. It does its job extremely well. So well in fact that it is next to impossible to open heat-sealed plastic packages with bare hands alone. Cutting them open is really the only option. In another two months, it will again be “package-opening” time of the year. While most of those moments will pass without bodily injuries, there will be the cuts from jagged plastic edges, an occassional sliced finger, and maybe even a trip or two to the emergency room. All of those incidents could have been prevented with a little extra care, a bit more patience, and the right cutting tool. One such tools is the ZipSnip. 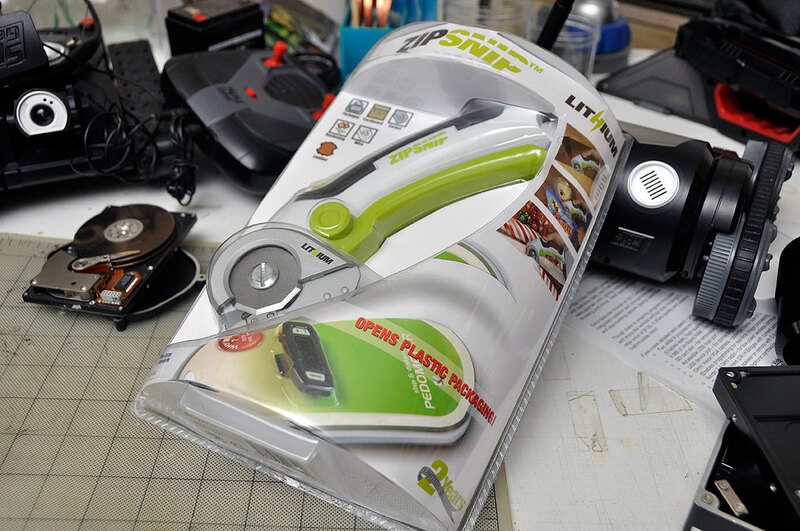 The ZipSnip is an electric rotary cutter designed to power through paper, plastic packaging, and cardboard boxes. The ZipSnip does not require any grip strength to use. Just push the button, squeeze the handle, and cut away. The best part is that the blade self-sharpens with every rotation. So while it is delicate enough to cut wrapping paper, it is tough enough to handle cardboard up to 1/4″ thick. The convenient part is the ZipSnip is cordless, so it go anywhere. 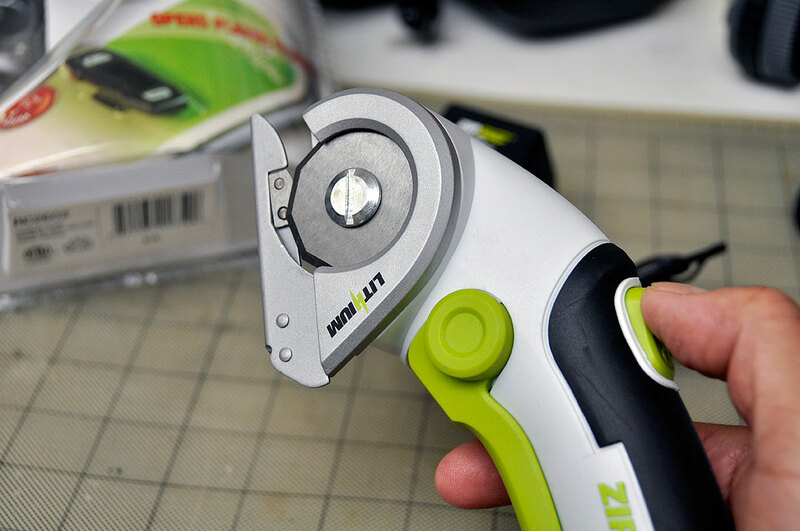 Because it is powered by a rechargeable Li-ion battery, its cutting action will last a good long time. And unlike a pair of scissors, you CAN run around with it. Yes. Plastic packages can be open with box-cutter, scissors, and pocket knives. However, with the ZipSnip, there is virtually zero chance that you’ll end up in the emergency room.